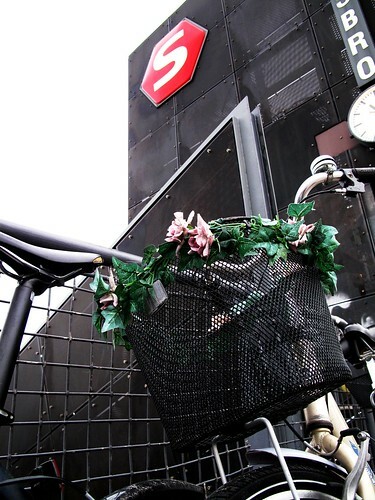 It's quite easy to take your bike with you in Copenhagen's trains and metro. 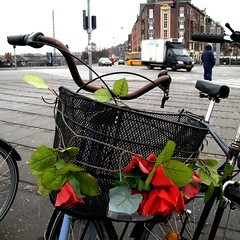 It's also quite easy to Copenhagenize your bike. 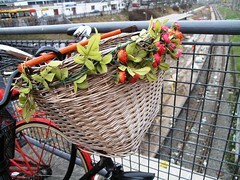 Just find a basket and adorn it with plastic flowers. 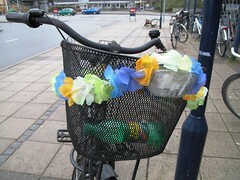 But is this only a Copenhagen phenomenon? 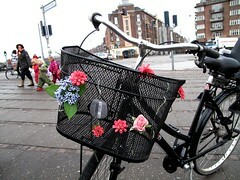 I remember seeing some adorned bikes in Amsterdam, but as the Dutch are more into panniers it's not really the same. Or?